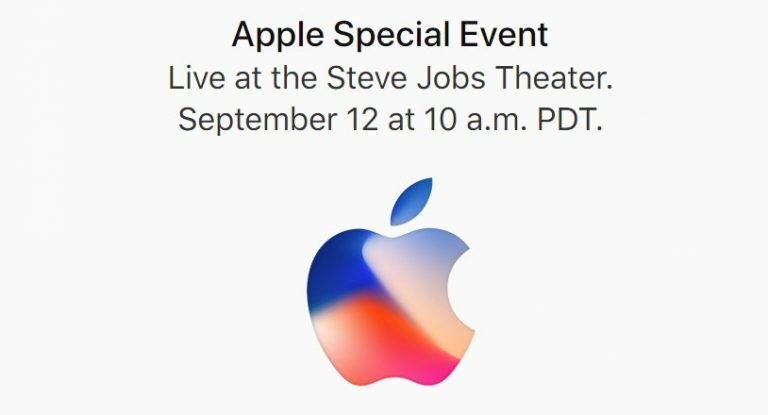 Apple iPhone 8 Launch Event Date: The Apple has officially announced its September 7th event, after recent rumors. This year’s invite shows a shadow inside the Apple logo in Blue and Red colors without revealing any other details. This is the first time it is holding the event at the Steve Jobs Theater located at the company’s new Apple Park campus. The iPhone 8 is expected to feature wireless charging and come with other major changes as it is Apple’s 10th Anniversary. iPhone 8 is tipped to come with an edge-to-edge OLED display while the iPhone 7s and iPhone 7s Plus are expected to resemble the predecessors and feature the same LCD display. Apple is expected to replace the Touch ID fingerprint authentication in favor of a new 3D facial recognition technology and is said to replace the home button with gesture control in the iPhone 8. The Apple event is scheduled for Tuesday, September 12 and starts at 10:00 am PT (10:30 PM IST) and happens at the Steve Jobs Theater located at the company’s new Apple Park campus in Cupertino, California.